If you’ve recently suffered a storm with hail or high winds and have noticed some damage to your roof, don’t wait until the damage gets worse! Even if you don’t see any leaks or notice loose shingles, having your roof inspected regularly can make the difference between a costly replacement, or a less-expensive repair. The life of your roof depends on maintaining it throughout the harsh-weather seasons, and our dedicated roof repair experts are here to help! Think you might have a roof damaged by a storm? Give us a call or fill out the form on this page to get a FREE estimate on Concord NC roof repairs. We’ll come out to your home and inspect your roof at no cost and no obligation to you. Our team handles all insurance claims to make the process as hassle-free and stress-free as possible, and we’ll make sure your roof repair or replacement carries you through many seasons to come! 1. How will I know if my roof has been damaged by a storm? Signs of damage include cracked or loose shingles or leaks, which may be evidenced water streaks on your ceilings or even pest/mold infestation due to increased dampness in your home’s insulation. We recommend that you have your roof inspected regularly, especially during harsh-weather seasons, to insure no damage has been done and to prevent any further damage in the event that a hail or wind storm results in minor issues. 2. How much does it cost to get a quote on roof repair? We offer free estimates on repairs. One of our experienced roofing contractors will meet you on-site to inspect your roof and make sure all is clear. Should you need any repairs or even a roof replacement, we’ll work directly with you to make sure you receive fair compensation from your insurance company. 3. Will my insurance company cover storm damage roof repairs? That depends on your insurance company, but most of them should. As mentioned before, our goal is to make your experience with us as easy and hassle-free as possible. We’ll help you handle all claims and make sure you get the compensation you need and deserve. 4. How will hail damage affect my roof and the rest of my home? Hail can do considerable damage, not only to your roof, but also to your home’s exterior, including your siding and gutters. Depending on the size of the hail, the wind speed, and the condition of your roof prior to the storm, you could end up needing some costly repairs or even a full roof replacement. Hail occurs with intense thunderstorms where both rain and snow exist, and some hail balls can be the size of golf balls or even larger, especially in the unpredictable Carolina climate! It’s important to undergo routine maintenance to prevent the damage that storms can potentially cause. If your roof is under warranty, you may be required to set up a regular maintenance schedule in order to prevent the warranty from being voided. 5. What are the most common signs of hail damage? Hail is tricky. 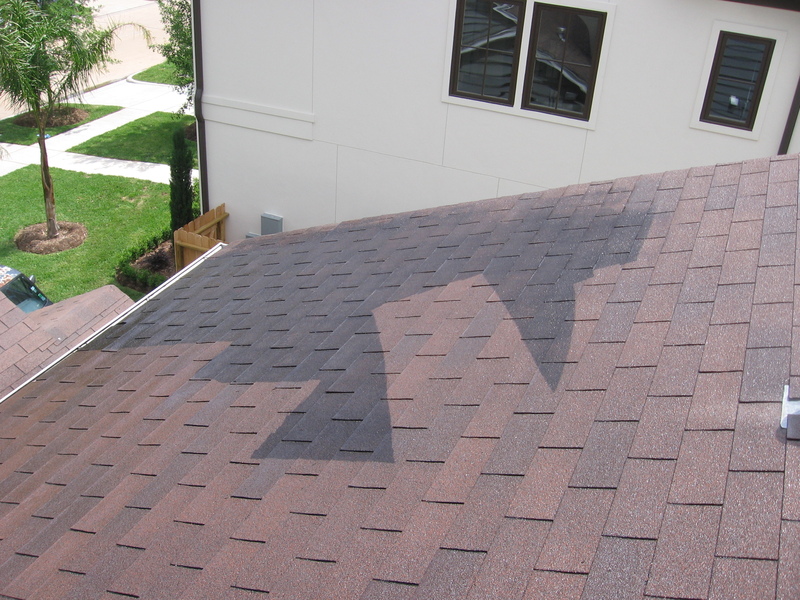 It can leave soft spots on asphalt shingles, which may or may not be visible to the naked eye. It can also loosen the granules that make up the shingle surface, causing them to wear down faster. In these cases, you may not even realize that damage has been done, so it’s a good idea to contact a roofing company if you suspect that a hail storm may have potentially damaged your roof. (Better safe than sorry!) One way to determine if shingle damage is likely is to check your roof vents first. Hail may cause marks or dents on roof venting systems and are almost always a sure sign of shingle damage, if found. In that case, we can help you determine what repairs are needed to sustain your roof, or if a complete roof replacement will be necessary. We’ll also take the age of your roof into consideration. 6. How do you insure that I will be adequately compensated by my insurance company? We recommend that you have your insurance adjuster walk through the roof inspection with an experienced roofing company, who will be able to draw their attention to any damage they see. Some insurance adjusters may not be as experienced when it come stop roof inspections, so having a contractor present will help ensure that nothing gets overlooked and that you receive the full amount necessary to complete the job. We are happy to work side-by-side with your insurance company to make sure the job gets done right. 8. How long will the roof repair or roof replacement take? Most roofing jobs can be completed in one to two days. The exact length will depend upon the severity of the damage and what’s needed to ensure your roof is in tip top shape again. 9. What if I continue to see signs of damage after the job is done? We use top-quality materials, all of which are backed by their own warranty. In addition, we offer a solid warranty on our workmanship, so that you can have peace of mind and confidence in your investment. If you notice any signs of damage or need any repairs within that warranty window, we’ll come back and fix ‘er up free of charge. 10. I have a new roof. Won’t the manufacturer’s warranty cover it? Unfortunately manufacturer’s warranties do not usually cover hail or storm damage, but if you have homeowner’s insurance, you should be in good shape. You’ll just need to pay your deductible.